SEOUL, July 25 (Korea Bizwire) – It has been 70 days since the Gangnam Station murder, which sparked the ongoing controversy over gender crimes in South Korea. The recent issue of a voice actress from the online game “Closer” being fired for wearing a ‘feminist’ t-shirt has started another fiery battle of the sexes on social media. When online communities heard about the gaming company’s decision to replace its voice actress, there was a clear division between a group that consisted mainly of men who claimed that anyone supporting feminist group Megalia should be banned from playing online games, and another group that consisted mainly of women who claimed that no one should lose their job simply because of their political opinion. The Justice Party of Korea also defended the voice actress, Kim Jayeon, and stated that her political opinion should not have affected her employment. The intense dispute over the incident seemed like it was calming down when Kim made a post to apologize for her imprudent choice of attire, until some webtoon artists on Lezhin Comics mocked readers by wondering if they would stop watching webtoons just because the artists supported Kim. As a result, many male users of Lezhin Comics started to ask for refunds for their paid memberships. The male-supported side of the debate is led by Namuwiki, a Korean wiki website that has defined Megalia as an anti-social group. On the opposite side, Megalia and a group of feminist Twitter users stand united. Social scientists and other experts say that the recent feminist movement that was triggered by the Megalia incident is seen as a fight against gender violence by some, and as an anti-social movement by others. 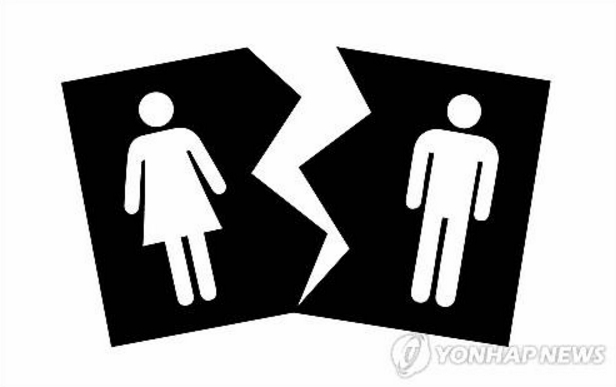 “Gender inequality has long been a social issue in Korean society, and it is important for everyone to realize that any form of violence whether online or offline should be avoided when dealing with others who have opposing views,” said Lee Byung-hoon, a sociology professor at Chung-Ang University.